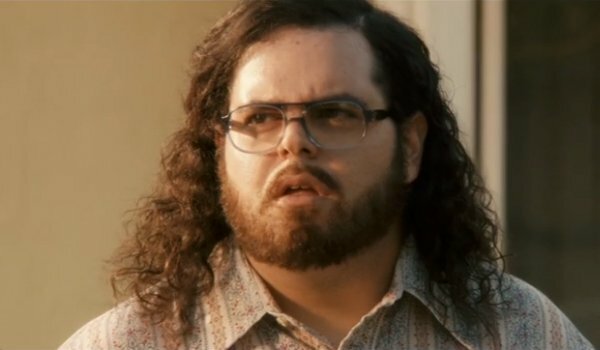 The upcoming comedy centering on the partnership between Russ Meyer and Roger Ebert – aptly titled Russ & Roger Go Beyond – has officially cast an actor to portray Ebert: Josh Gad (Frozen, Pixels). According to The Hollywood Reporter, Gad has officially signed on to round out the titular duo, with comedian Will Ferrell already signed on to play Russ Meyer. The film focuses on the early careers of Meyer and Ebert during the 1970’s. At the time, Meyer was a prolific soft-core pornographer with a knack for handling tight budgets, and Ebert was a small time film critic and aspiring screenwriter; together, they fought against the traditional Hollywood studios and ratings bureaus to create Beyond the Valley of the Dolls — one of the first ever X-rated films ever produced by a major studio. The film will chronicle their professional conflicts with Hollywood, as well as the "debaucherous" fun they had along the way while doing so. Rumors had abounded as far back as last winter hinting at Gad’s involvement, but it took until now to ultimately confirm his role in the buddy comedy. The image of the late Roger Ebert most people have in their minds is of the older, respected film critic he came to be known as. Russ & Roger Go Beyond seemingly aims to subvert that idea, giving audiences a humorous glimpse at the man in the midst of his rebellious youth. Given Ebert’s recent death after an 11-year battle with cancer, the movie’s comedic tone might walk a dangerously fine line on the border of good taste. However, when we consider the content of Russ & Roger Go Beyond, as well as Ebert’s overall historical battle to push the boundaries within the film industry, this creative direction ultimately makes a good deal of sense. Biopics in general have become much more brazen in recent years -- increasingly willing to tackle more modern subjects. There seems to be a general willingness in Hollywood to make films that discuss the more "dangerous" sides of contemporary figures and icons, such as Ebert himself. For example, Steve Jobs was already the subject of an Ashton Kutcher film (which also featured Gad) chronicling his life in 2013, with another – fronted this time by Michael Fassbender – set to hit theaters in October. Then there was 2011’s The Social Network, which similarly stood out for chronicling the rise of Mark Zuckerberg and social media giant, Facebook – although Zuckerberg is quite obviously still alive. Russ & Roger Go Beyond also deals with the notion of "Hollywood outsiders," similar to the upcoming biopic Trumbo starring Bryan Cranston – although that respective film takes place during the era of Joseph McCarthy. Very little else is known about the project; Russ & Roger Go Beyond will hit theaters sometime in 2016.